I usually check my Butternut HF2V vertical antenna every spring to see how much it has suffered during the winter. 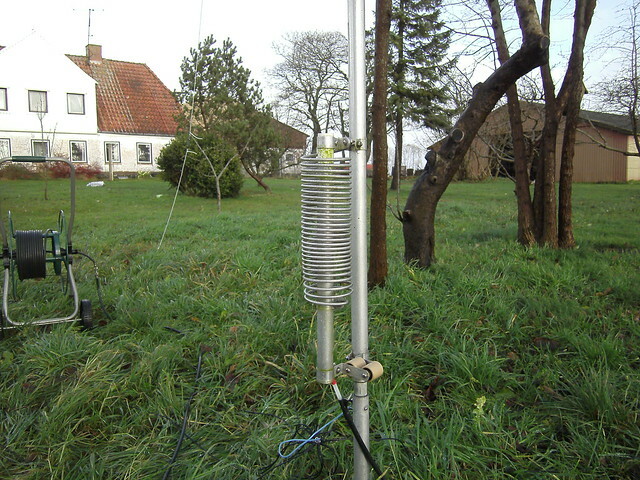 The winters in Denmark can be very windy and wet, which is not very good for an antenna. This spring I was rather busy and I postponed the annual check until now. I haven’t used the antenna for a long time, so I didn’t know what to expect. Physically, the antenna is still standing and only one of the four guy ropes needed to be repaired since the last check more than 1.5 year ago. It is now four and a half years since I erected the antenna and it is now beginning to show signs of aging and it is now becoming dirty. The text on the capacitors is no longer visible. Below you can see a few photos I have taken during the last weekend of November. You can compare them to photos taken earlier available in the HF2V photo album. 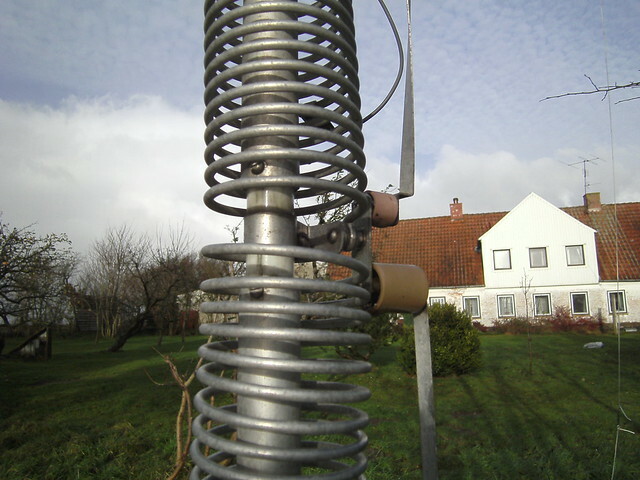 Side view of the 160m resonator. 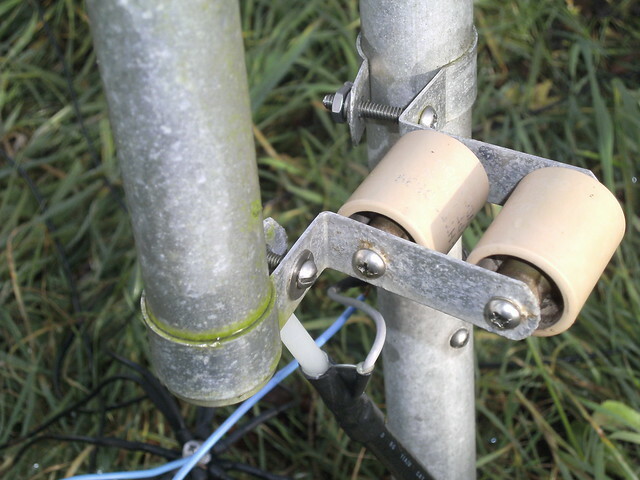 Top view of the 160m resonator. The feeding point at the bottom of the antenna. 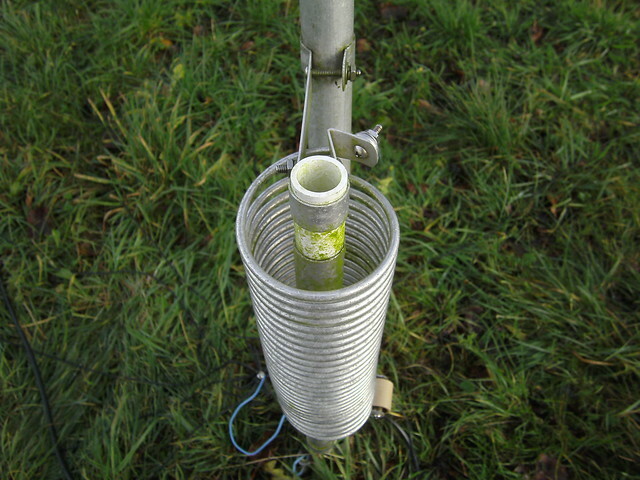 The junction between the 80m and 40m elements. Fortunately, the dirt has not eaten up everything and the connections are still good. 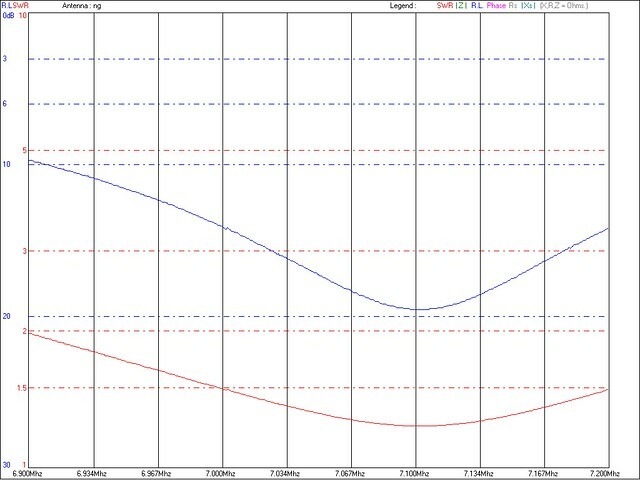 SWR has not moved much, except on 30 meters where it is now up at 10.4 MHz. I will need to retune that part. Butternut HF2V SWR on the 80m / 3.5 MHz band. Butternut HF2V SWR on the 40m / 7 MHz band. 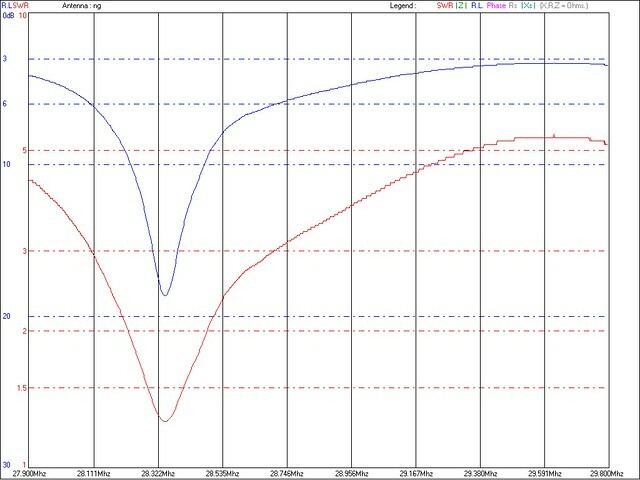 Butternut HF2V SWR on the 30m / 10.1 MHz band. As you may recall, the basic HF2V is a two band vertical for 80m and 40m. Kits are available to extend it to 160m and 30m. 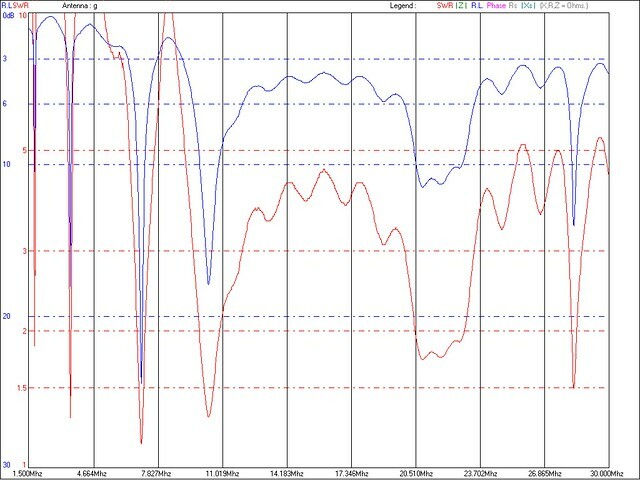 I have both kits, hence the SWR scans for the four bands above. 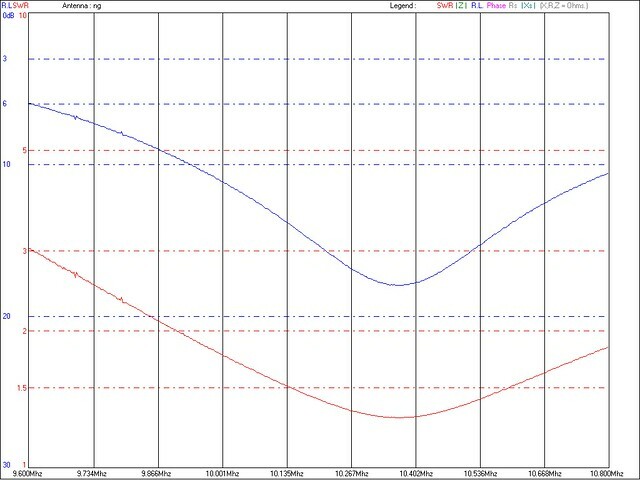 As a bonus, it also works well on 15m and 10m. 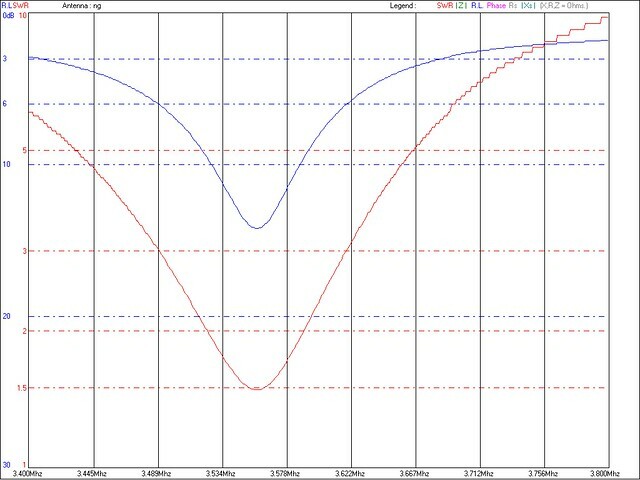 Butternut HF2V SWR on the 15m / 21 MHz band. 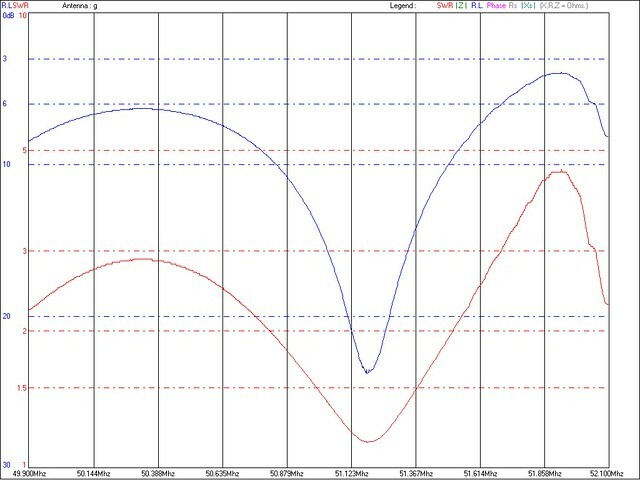 Butternut HF2V SWR on the 10m / 28 MHz band. 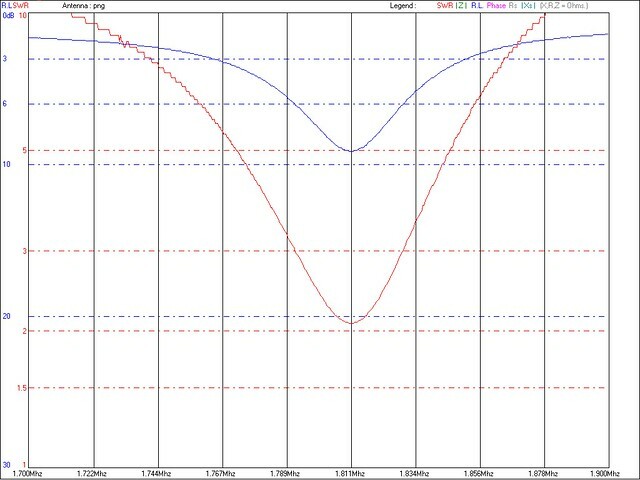 Butternut HF2V SWR on the 6m / 50 MHz band. 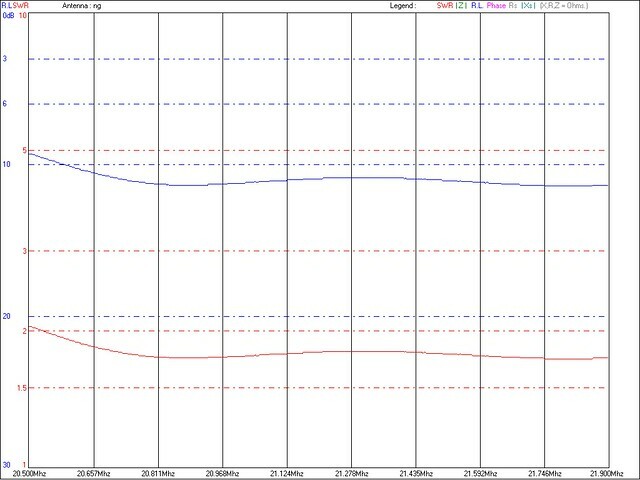 Butternut HF2V SWR on the 4m / 70 MHz band. 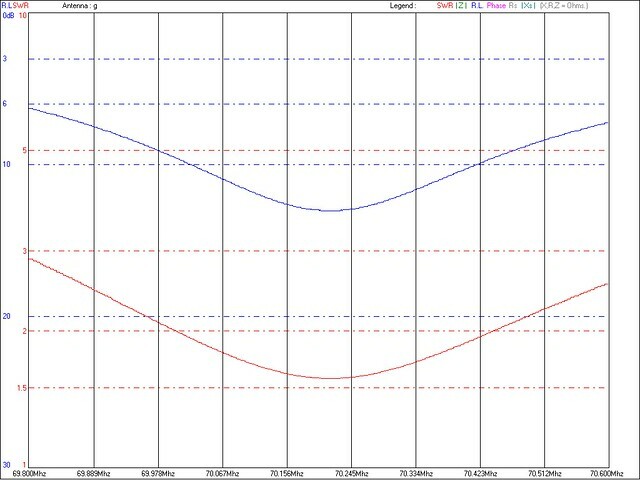 Butternut HF2V SWR on shortwaves.